Linear scaling of database performance is critical for applications to scale easily and cost-efficiently. 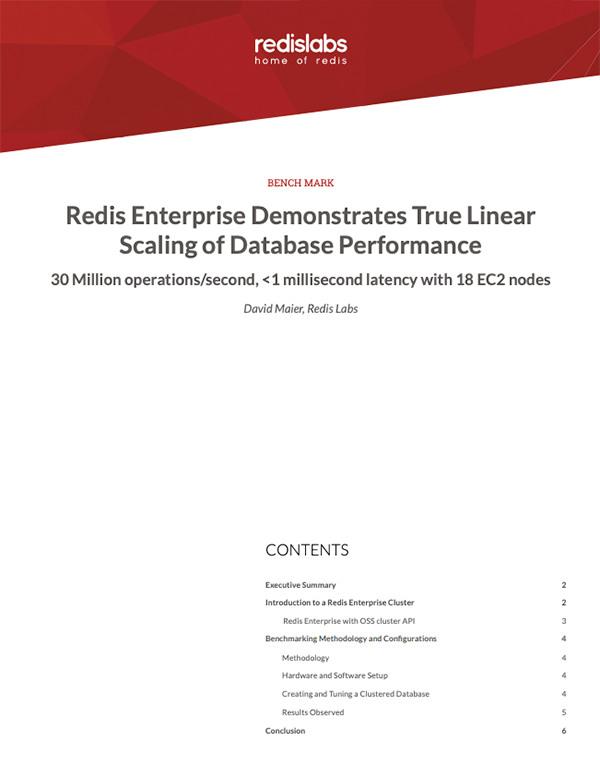 Many cloud or on-premises databases claim to scale linearly but can rarely prove it in the manner that Redis Enterprise has demonstrated. Redis Enterprise supports the open source Cluster API, enabling infinite, linear scaling by simply adding shards and nodes. This, combined, with the shared-nothing symmetric architecture of Redis Enterprise cluster ensures that data and control path are separate and the control path does not impose non-linear overheads in a scaled-out environment. Download this benchmark to learn more!